Feeling defeated, I slowed my horse to a walk as endurance rider and trainer Christoph Schork cantered ahead, out of ear shot as he weaved in and out of the patches of low brush. I was only 2½ hours into my first of three days of training with Christoph and my body seemed to be breaking down. My left ankle kept rolling in the stirrup, similar to when you’re walking and out of nowhere your ankle rolls. I felt unbalanced and unable to stay with my horse in anything other than a walk or sitting trot. I’d also already run out of water. My measly 1.5-liter hydration pack had been drained in the 98-degree desert heat. Once Christoph caught on that I was not in fact following on his tail, he stopped and we walked six miles back to his Global Endurance Training Center. 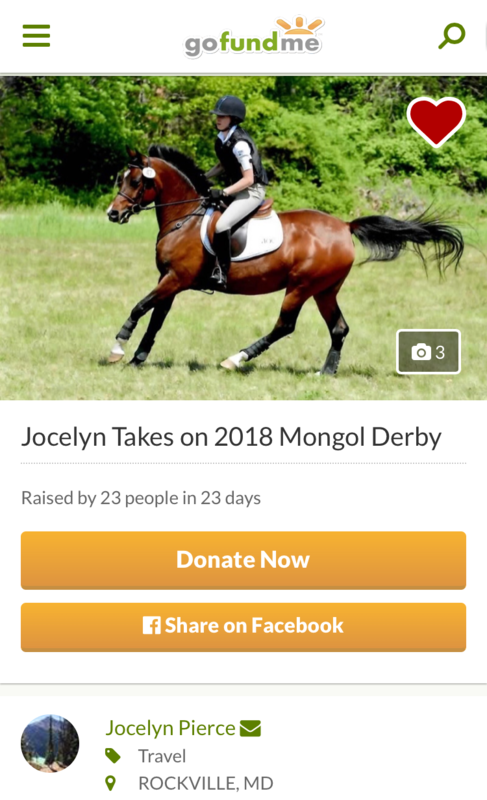 I spent the ride scolding myself for signing up for the Mongol Derby when I couldn’t even last three hours on a well-trained horse in Moab, Utah. When we made it back, I apologized. Christoph answered slowly and deliberately with a smile. “We are here to build you up, not tear you down,” he said. Of all the endurance riders to train with for the Mongol Derby, there could not be a teacher more well-suited for the task than Christoph. With more than 320 first-place finishes, 580 completions and over 140 Best Condition awards, Christoph is truly a leader in the sport. In addition to his immeasurable endurance accolades, he has competed in biathlon, alpine skiing, mountaineering and was even named the Ski Archery World Champion in 1993. He’s also been to Mongolia nine times and even served as an expedition guide there. Throughout the three days we worked together, he offered riding theory and advice sprinkled with invaluable tidbits about Mongolian culture and the Mongol horse. As I dismounted from my horse, wobbly-kneed and cotton-mouthed, I wasn’t completely confident that I wouldn’t pass out, barf or some horrifying combination. We untacked and bathed our horses and then Christoph explained how vet checks work, before we headed up to the house where I watched YouTube videos on how to properly tape an ankle. Christoph’s bridles from Mongolia which are 100 percent handmade. After about an hour, we headed to the barn where I rode 14.1-hand Saffy—bigger than the average-sized Mongol horse but whose shorter stature and gait offered good practice. Taping my ankle made a world of difference, and I had no issues with it the rest of the trip. Feeling a giant sense of relief, I made a mental note that plenty tape would be coming with me to Mongolia. Jocelyn aboard 14.1-hand Koaladee Saffire, or Saffy, and Christoph riding GE Danex with views of the La Sal Mountains in the background. In addition to feeling out the horse, my objective was to focus on my balance and having equal weight in both stirrups. In Mongolia, Christoph said, “it is flat and open for miles and miles, so you will have a lot of time in your head to focus on balance, on your horse, marmot holes, contact [in the bridle], driving the horse, letting it go—whatever. Your mind should be busy all the time. There shouldn’t be any boring time,” he said. But, he said, minimize chit-chatting with your riding companions because that’s when accidents happen—when your mind and your body are separated. Another tip: Don’t look at the end. Don’t look at the whole day. Ride one step at a time or one mile at a time. Since Zazo is known to balk, spook or refuse to go with a timid rider, Christoph had me take the lead to test my assertiveness. I felt him slightly hesitate but with a strong leg aid and drive of my seat, he settled in and seemed to trust me. Then I was able to stay in two-point as much as possible, another Christoph tip. “It will strengthen your leg, it will strengthen everything,” he said, also make it easier on the horse and the rider’s body. He also encouraged me to imagine landing on my feet if my horse was suddenly gone from underneath me—another balance tip. I found that a lot of Christoph’s training principles were dressage-heavy, which makes sense since he is originally from Germany and has a background in dressage. We also worked on avoiding holes and cacti, as a way to simulate staying clear of the marmot holes that are common in Mongolia. “Plan your route ahead,” Christoph said. “The horse will go where you look. Look and scan the overall picture, and then look at smaller stuff, like holes or rough ground.” The amount of concentration it took to focus on the horse, my position and scanning constantly for the best route and bad ground was exhausting. Add in that while in Mongolia I’ll need to be frequently consulting my GPS to determine the route I will travel, I can see how the Derby can quickly take a mental toll on riders. I rode for about three to four hours, twice a day, and after each ride, I practiced listening to the horses’ heart rates with a stethoscope and then tested my accuracy with a heart rate monitor. To pass the vet checks in the Mongol Derby, your horse needs to have a heart rate of 56 bpm or lower, while in most endurance competitions, it’s 64 bpm. Jocelyn and GE Haat Wheelz, a fun ride with a few quirks on the ground–catch him if you can! Christoph gave me little tips on how to get the heart rate down, like splashing water on their neck and shoulders throughout the ride and getting them to drink and to pee. The horse’s heart rate is to four to eight beats higher when he needs to urinate, so some endurance riders even train their horses to go on command by whistling. While this isn’t exactly practical for Mongolia, I can still try to entice my horse to pee by leading him to a grassy area before bringing him to the vet. The remainder of my training finished without a hitch and as I was making the four-hour drive to the airport I thought of all the things I had worked on with Christoph—but the biggest takeaways from him were more abstract and had less to do with the Mongol Derby and were more about life lessons and integrity.